A GOOD weave can make any woman feel glamorous but your weave can turn into a hot mess real quick for a number of reasons. From visible thread/wool to bad shades, there are a lot of things that can go wrong while wearing weaves. In this article I will outline signs of a bad weave so that you prevent these embarrassing mishaps from happening in the first place. 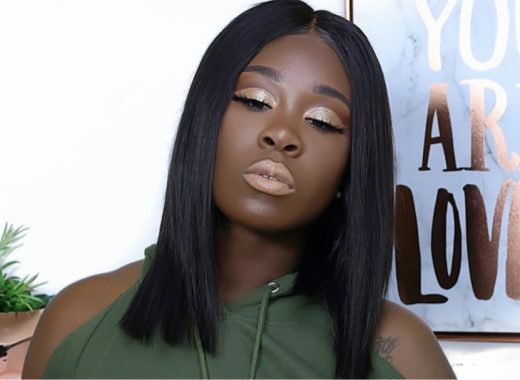 While there is nothing wrong with wearing a good wig (everyone is into wigs anyway of late) every now and then, you definitely don’t want your weave to be mistaken for one. This usually happens when the hair is synthetic and has an unnatural looking shine to it, or the weave wasn’t sewn in properly. Losing your hair is never fun and when your hairline starts to disappear, that’s just bad news all around. Your hairline is one of the most important parts of the hair, and if you damage your edges, your hairline will recede. 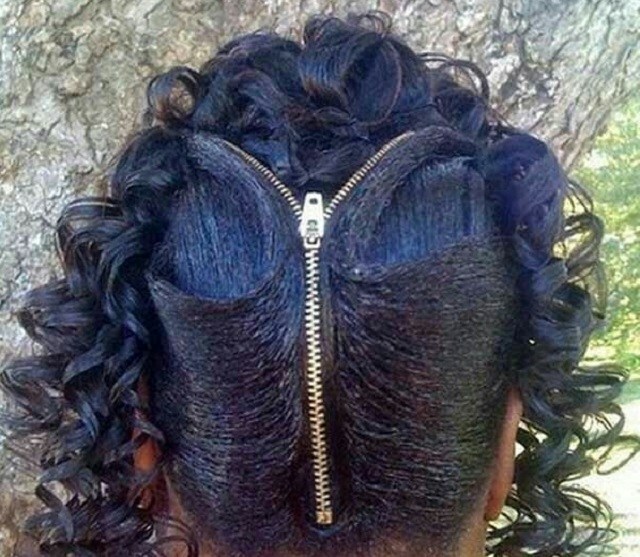 Keep this from happening by making sure your weave is sewn in properly, not too tight. You will know if the weave is tight or not, you should be able to sleep at night. A good weave should blend in well with all your hair, including your hairline. If your weave looks obvious chances are it wasn’t sewn in correctly or the colour doesn’t match up. After you get your weave sewn in, it should last about two or three months. The reason it might come off loose before then is because it needs to be tightened and sewn in correctly. A weave is not supposed to be sewn in too tight because it damages the hairline, however, it’s not supposed to be loose either as it won’t last long. When your weave starts shedding profusely every time you run a brush through it, or you’re finding bits and pieces of hair. Synthetic hair often sheds more, which is why it’s always better to purchase real human hair (100 percent) when you can. Hair extensions are an investment, so choose wisely. The other thing is having a good hairdresser do your hair, this will ensure you get the most natural look. What causes a bad smelling weave? When washing your weave, take time to make sure the whole weave and your natural hair underneath is completely dry. You can eliminate the bad smell by washing thoroughly with a great shampoo and then using a blow dryer. Focus directly onto the scalp, to make sure the roots of your weave get dry. Too many times, women with weaves will wear their hair in a style that wasn’t meant to be worn in, for example wearing your weave up in a ponytail when it was sewn with the intention of you wearing it down means the lines and thread will show in abundance (not good). To keep this from happening, inform the hairstylist who’s doing your weave beforehand about the various hairstyles you’d like to wear, so that she/he can install it accordingly. Also before rushing out of the salon, make sure your weave is cut into a style that suits you best. Not all hair textures and colours are created equally when it comes to weaves. It may be fun to play with them, but don’t forget that you have to actually blend in the weave with the hair that’s growing out of your head. It’s important to find extensions that match the texture of your hair. If you have curly hair and want it to show while the weave is on it would make sense to get a curly weave/extension, not straight. I decided to write a piece about bad weaves because last week I was victim of bad hair. I had two hairdressers; A was expensive but perfect at what she does and B was affordable but not as good as A. I was on a tight budget so I decided to go to B. The hairdo was affordable but I looked crazy, the dogs didn’t even recognise me. It didn’t suit me, the edges looked like I had it on for two months. I unplaited in two days and decided to go to A. And now I have one hairdresser. Moral of the story: CHEAP IS EXPENSIVE. Sometimes to avoid a bad weave you need a good hairstylist, it’s better to save for a hairstyle that will suit you and last for long than pay less to have a bad weave. Do get a weave that matches your complexion so that it blends in with your skin tone. — Additional information from online.